Since 2016, the MSCI Emerging Markets Food and Staples Retail Index has returned 19% while the MSCI Emerging Markets Index gained 31%. In comparison, the MSCI Emerging Markets Consumer Staples Index has surged 16.2%. 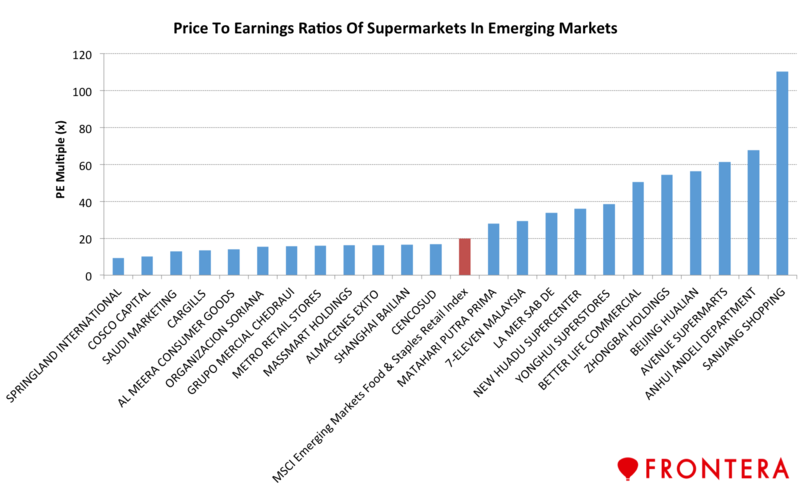 Large global retailers including Tesco (TESO), Carrefour (CA), and Amazon (AMZN) see opportunity for growth in emerging markets given supermarkets contribute tess than 50% of total grocery sales in large emerging markets like Brazil (EWZ), China, Russia (ERUS) and India. Further, experts see long term growth potential for stocks in this space given the high level of fragmentation in these markets with top five players occupying less than 30% of market share. 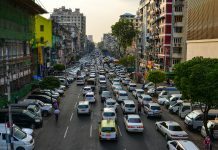 Chris Palmer, director of global emerging markets at Henderson Investment Management believes investors have opportunity to pick up stocks with low valuations that have potential for long term capital appreciation as well and growth prospects. He is bullish on Russian supermarket chain Magnit (MGNT) that operates 14,059 stores in nearly 2495 locations across Russia. Shares of the company have lost 24% YTD. 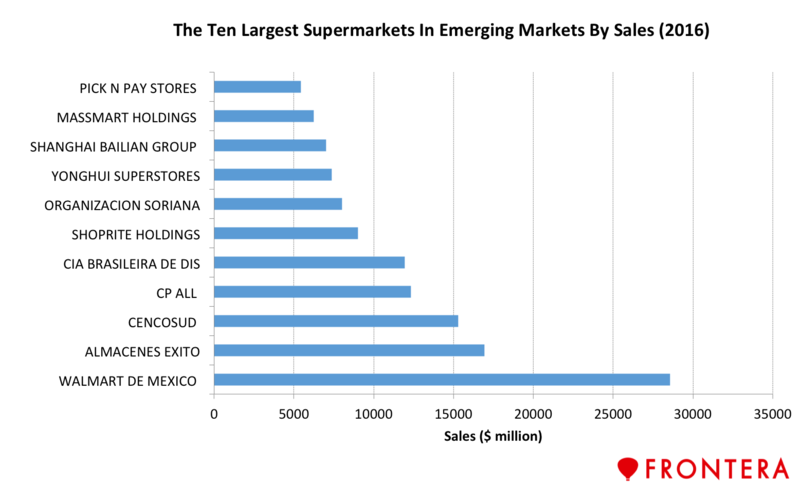 The biggest supermarket operators in emerging markets by sales are Walmart Mexico, Almacenes Exito SA, Cencosud SA, CP All, Cia Brasileira De Dis, Shoprite Holdings Ltd, Organizacion Soriana and Yonghui Superstores. 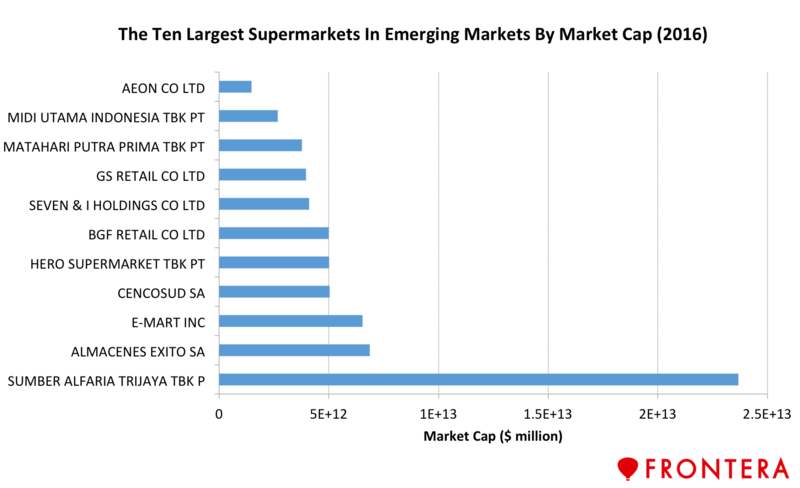 By market capitalization, the largest supermarkets are Sumber Alfaria, Almacenes Exito, E-Mart, Cencosud and Hero Supermarkets. 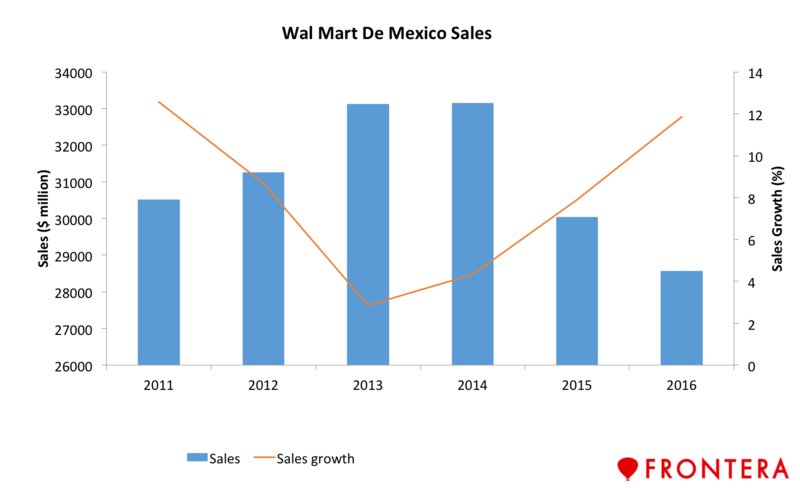 In 2016, Wal-Mart de Mexico, Mexico’s largest retailer recorded sales of $28.6 billion, the highest among the supermarkets operating in emerging markets. 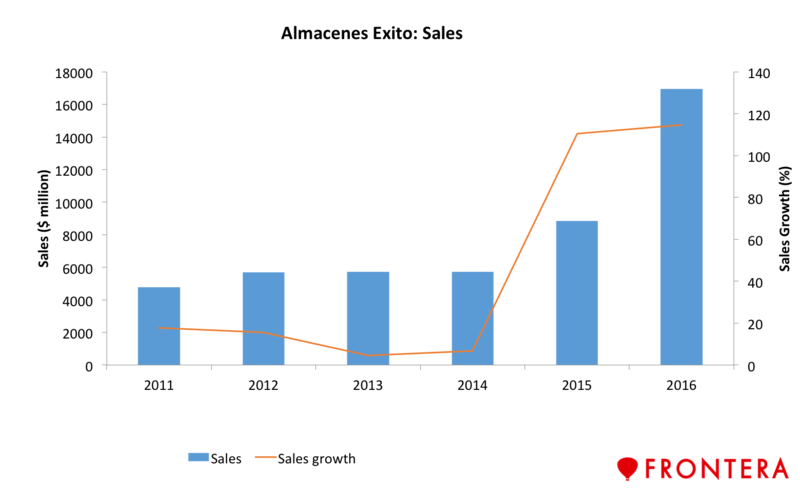 The company, better known as Walmex operates 2,411 stores in Central America and has witnessed average sales growth of 8% in the past five years. Shares of the company have gained 18.5% YTD. 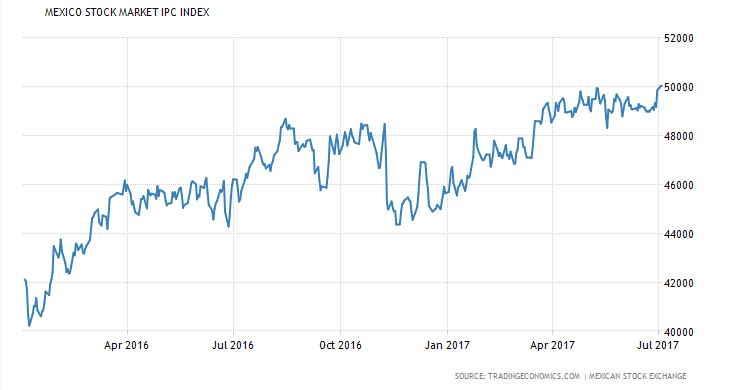 In comparison, the Mexican benchmark Index- Indice de Precios y Cotizaciones has gained 18% while the MSCI Emerging Markets Index (EEM) has retuned 16.8%. Almacenes Exito also known as Grupo Exito, is South America’s largest supermarket chain, operating 2,606 stores in the region. Almacenes primarily operates in Colombia under the brands Exito, Carulla, Vivero, Surtimax, Seper Inter and Surtimayorista Bodega through a number of subsidiaries. The company also manages supermarkets under Libertad and Mini Libertad brand names in Argentina. Additionally they also run Disco and Devotoy Geant brand names in Uruguay. In 2016, the company recorded sales of $16.9 billion. Publicly listed on the Colombian Stock Exchange, shares of the company have gained 4.2% over the year so far. Cencosud is the largest retailer in Chile (ECH) and the third largest in Latin America with nearly 1,045 stores in the region. The company operates supermarkets, hypermarkets and department stores across the Latin American continent. In 2012, the company acquired Colombian hypermarket operations of Carrefour and changed its branding to Jumbo. Last year the company generated sales worth $15.3 billion but its shares have lost 4.5% YTD. CP All operates 7-Eleven and cash and carry stores under the brand Makro in Thailand. 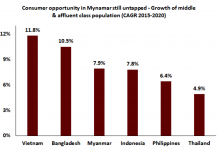 Thailand has the third largest network of 7-Eleven stores after the US and Japan. In 2016, CP All operated 9,542 7-Eleven stores across Thailand (THD). In 2016, the company recorded sales of $12.3 billion. Shares of the company have retuned 2% YTD but have 14% upside in the next 12 months as per sell-side analysts. Shoprite Holdings is Africa’s (EZA) largest retailer, operating 2,653 outlets across 15 countries in the continent. The company generated sales of $9.02 billion last year and its shares are up 17.3% YTD. 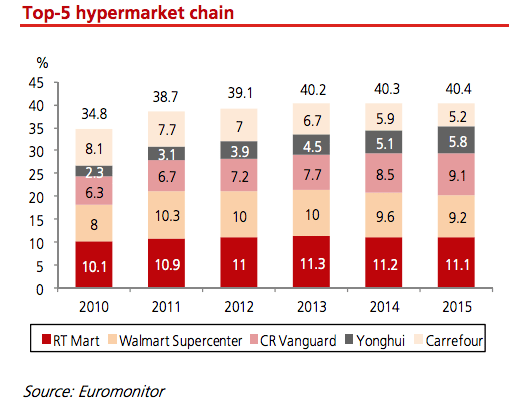 Yonghui, is the 4th largest hypermarket operator in China, and has significantly outperformed peers in the supermarkets space. 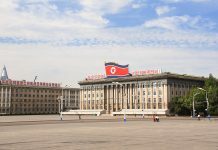 The company is also on the list of Forbes Global 2000 companies across the world. 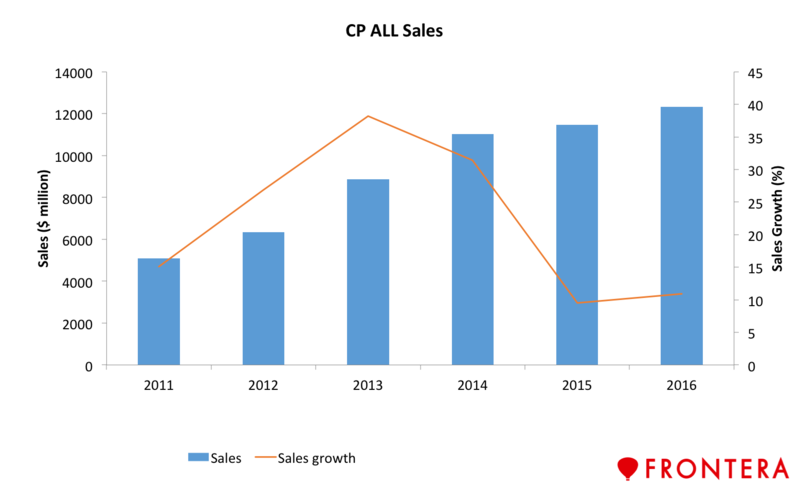 The company has sustained substantial market share gains in recent years and has recorded average sales growth of 26% over the past five years. The company operates a total of nearly 450 stores across China as of Sep 2016. In 2016, the company generated sales of $7.4 billion and its shares are up 47% YTD. Valuations within the supermarkets space have remained elevated, trading at 28.4 times its one year forward earnings. 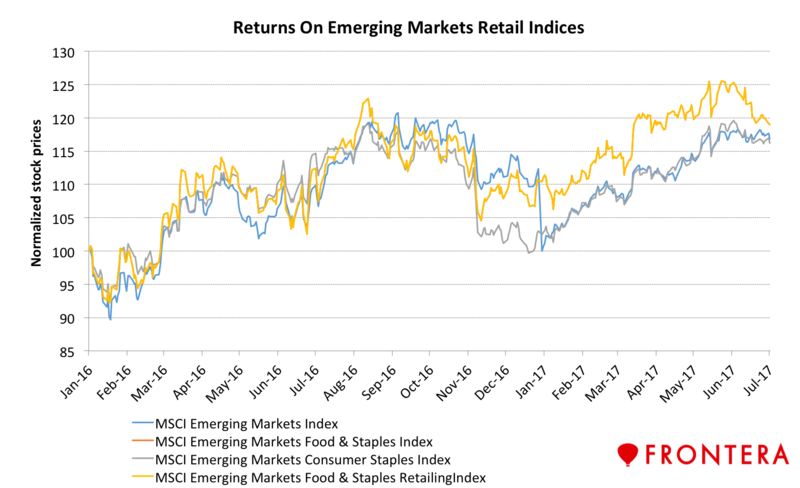 Comparatively, the MSCI Emerging Markets Index trades at a PE of 15.3x, while the MSCI Emerging Markets Food & Retail Index trades at 19.9 times its earnings. Springland International, Cosco Capital, and Saudi Marketing are the most attractive stocks based on their cheap valuations. These stocks have one year forward PEs of 9.4x, 10.1x, and 12.9x and are trading at the steepest discount to their peers. 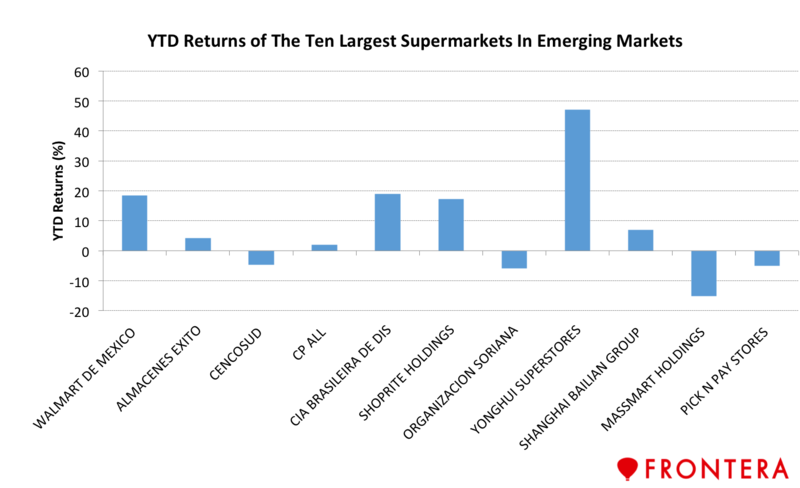 Meanwhile, Sanjiang Shopping Club, Anhui Andeli Department and Avenue Supermarts are the most expensive supermarkets stocks in emerging markets with PEs of 110.2x, 67.6x and 61.4x respectively.